A Utah school that revealed a teenage boy's homosexuality to his parents has drawn criticism from numerous gay activist organizations, but the boy's parents say they stand behind the school and never asked for the advocates to get involved. The boy's story became an issue when gay activist organizations made public statements condemning the school's actions, claiming school officials violated the boy's rights and put him in danger. The group's statements turned the story into news items on Salt Lake City television stations and newspapers. A spokeswoman for the Utah Pride Center in Salt Lake City called the situation "disturbing" and Eliza Byard, the executive director of the Gay, Lesbian & Straight Education Network, said that outing a student "violates their right to privacy" and could "compromise their safety." "Taking away the choice for a LGBT student to come out on their own terms opens the door to significant risks including harassment at school and family rejection," Byard said in the statement. That was before the boy's family said they were grateful the school alerted them and that their son was doing fine. The advocate involvement has only drawn unwanted attention, the father said. Andy Marra, the public relations manager for the Gay, Lesbian & Straight Network, conceded today that the organization was never contact by the family or even spoke to them and was working off of "developing" information. Marra said that the statement was intended as "general guidelines" for schools when working with a student coming out. The 14-year-old's father told ABCNews.com today that his son is supported and happy. "The administration handled everything just fine," the 14-year-old's father told ABCNews.com. "We didn't have any problems with what they did." The boy's father, who wished to protect his son's privacy by remaining anonymous, said the situation has been blown out of proportion. 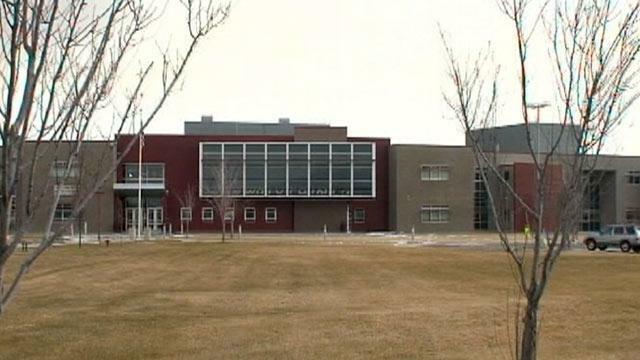 He believes Willowcreek Middle School administrators in Lehi, Utah, who called him and his wife to the school for a meeting were acting in the best interest of their son. "He's got a great support system at school," he said. "It's about him being protected and his friends are all rallying around him." The situation began last week when the teenager used a class assignment to reveal his sexuality to his classmates. The teacher asked him if it was okay to post his project with the others, and he said yes. "He had obviously decided it was time for him to let his peers know about his sexual orientation through a variety of ways—verbally, assignments in class, posts on Facebook," said Rhonda Bromley, an administrator at the Alpine School District. "Unfortunately, there was a small negative response from a small number of students." When the boy was seen hugging another boy in the hallway, an adult aid thought it was "more than a normal hug," and notified school administrators with the intent of preventing any bullying, according to the teen's father. The teenager was called to the assistant principal's office. He was asked whether his parents knew about his sexuality and he said they did not. "[The assistant principal] expressed she felt it was important to include the parents because it was a safety issue and the parents needed to be aware so they can stay on top of things," Bromley said. "He was very reluctant, but he did agree that it was okay. He was scared. He was afraid his parents were going to be angry. He didn't want to be in the room." The boy's parents were called in and he waited in a different room. The assistant principal talked to them and expressed their desire to work together and the parents were "very supportive," according to Bromley. "We were really worried because he's really scared and we want to protect him," the teen's father said. He said his son "took control" of his coming out and "was very proud and he made sure everybody knew." The father said the situation did not become a problem until a Facebook page was created calling for support of the boy to "end homophobic discrimination in schools" and containing "misinformation" about what had happened. The page said the boy was in trouble with the school for being gay and had been suspended for his sexuality. "That's the thing gay rights activists picked up on," Bromley said. "He wasn't suspended," the father said. "We kept him home for the week because we wanted him to sit back and think about the incident." The parents decided it would be in their son's best interest to let the attention die down and that he has been keeping up with his schoolwork and talking to his friends through the computer. The boy will be back to school as normal after the holiday break. "Any time there's potential for bullying to begin or harassment, it's absolutely the responsibility of the school to get right on it. It's not something we're going to tiptoe around. We'll do anything in our power to make sure students feel safe," Bromley said. The teen's father said that the boy feels supported by his family, friends and school. "The thing is we know he's 14 and he will grow into whatever he grows into," he said. "Our responsibility is to make sure he has a loving house he can come to and not be bullied or discriminated against. Whether we like the decision or not, we're his parents and we love him."